Mars and Earth together - Solar System Planets And Moons Section. Mars and Earth have been dancing together. 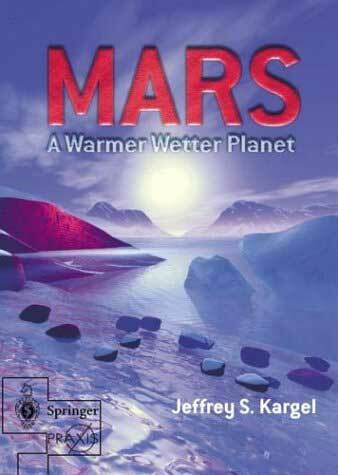 Mars: A Warmer Wetter Planet Book Review. At a traditional wedding, the bride, well hidden by a veil, gracefully walks up the aisle. At the appropriate moment, the groom gently moves the veil aside so all can share in the wondrous visage of his new bride. Jeffrey Kargel provides the same service for us in his book, Mars: A Warmer Wetter planet as he draws away the veil of mystery surrounding Mars to show us the red planet's intriguing visage. Not only does he provide a detailed analysis of shapes and features, but he also provides a description of how these likely came into being. 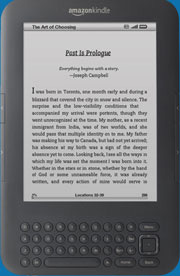 Considering that Mars and Earth have been dancing together in their orbits for so long, it is about time that we have a book like this to get to know more of our partner. Cassini took this image of Rhea, one of Saturn's moons, which shows the bright rays from a relatively fresh crater on its eastern limb. This image was taken on November 10, 2004, when the spacecraft was 3.6 million km (2.2 million miles) away from Rhea. Cassini will make a much closer approach to the Moon on November 25, 2005. Magnetic Fields Could Shape Nebulae. Planetary nebulae are created when large stars shed material near the end of their lives. This material should expand in a perfect sphere, but Astronomers have found many examples where the material is twisted into an unusual elliptical or bipolar shape (like an hourglass). A team of German Astronomers have detected the presense of a magnetic field around the central stars in four planetary nebulae - it's these magnetic fields that could give nebulae their unusual shapes. You often hear about the "Lagrange Points", but do you know what they are? These are 5 points in the Earth-Sun system where a third, low mass object (such as a spacecraft) can maintain its position with very little fuel. L1 is a point directly in between the Earth and the Sun, ideal for observing our star - that's where NASA/ESA's SOHO is right now. Another useful point is L2, which lies on the opposite side of the Earth, away from the Sun. L2 is a great place to observe the universe without having to directly orbit the Earth. Many upcoming space-based observatories will be headed to L2 in the next few years. There are three additional Lagrange Points in the system as well, L3, L4 and L5.